One thing you should take note of is that the economy is different from politics. Politics is politics, but when it comes to the issue of economic recovery, this is a technical area which needs technical people. The way I'm looking at the current situation as a policy maker and research analyst, it is going to be very difficult to inspire confidence. Politicians should lead politics and leave economic issues to technical people. I was assessing the statement made by ZBC last night that you have appointed Vice President Chiwenga to lead the adhoc Committee on price hikes; whilst I appreciate him as the Vice President of our country I feel he can stick to his Government mandate of supervising economic decisions, that way it can sound good and best. I think the person who gave you that advice is totally wrong. From my own perception, that area is supposed to be given to independent advisory council who can then in turn give the Government advice. Secondly that area was not supposed to be assigned to the politburo but it was supposed to be a Government purely thing. To me the moment it is left in the hands of the party, it will not inspire investors and other potential partners. 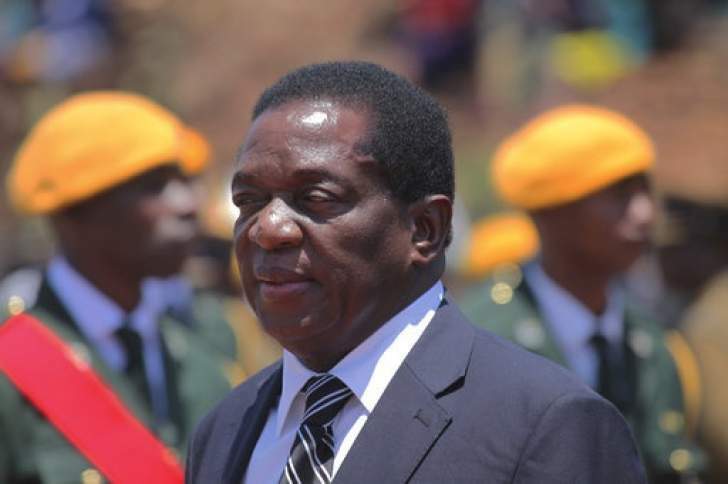 Normally the international partnered and donor community they always associate Zanu PF with thuggish behavior and they always reflect from the past experience, so it is advisable that may you kindly propose the advisory economic council of Zimbabwe of which every citizen will be able to contribute their facts without hindrance. After the council makes crucial recommendations, they can now in turn submit to Gen Chiwenga for cabinet approval. I propose Mr President to come up with a board namely Economic Advisory Council of Zimbabwe (EACZ). That council will play a crucial role in mending economic relations between Government, civic society, business community, academics and all stakeholders to achieve a positive economic growth. To me I think President ED may you utilize whatever opportunity you have at your disposal. It is very wrong for politicians to make key economic decisions. People like Shingie Munyeza, Tawanda Nyambirai, Strive Masiyiwa, James Makamba, Lovemore Madhuku, James Mushore, Tapiwa Mashakada, Thabani Mpofu, Ibo Mandaza and other key people. We have areas of focus such as policy, development, food security, climate change, environment, economics, legal expertise, social work and other critical areas. So it is vital that you pick such people, you will stand to benefit a lot because they will give you independent facts. Politicians will never tell you the truth because they want to protect their jobs. This economic advisory council will help the Government with so many technical advice and review matters evolving the economy and policy shifts. Before moving to the next stage of implementation, the council will be responsible for assessing and making evaluations to see if it is worthy to carry projects that are ongoing, do they have any economic benefit to our country. So I propose Mr President that in deed it is important to initiate such an idea to have this council in place for reviewing on the progress of our economy. We must reflect on the status of our economy before we make other crucial decisions of the economy. There are policies which were put in place which never worked and they are not sustainable so it is important for the council to make a review on such matters. For example was ZIM ASSET achievable or sustainable? This was a project which required billions of dollars, but it was simply used to lure voters ahead of 2013 elections. This is unacceptable; we need practicality when dealing with policy matters. People are starving and they need food on the table. Politicians must never gamble with people's lives at the expense of politics and economy. To me if you want to attract investments it is better you begin to reach out to the affected community, business community, civic society, opposition, economists, policy makers, academics and table your proposals. These are the people who will then begin to help you to build the economy. There are so many people with good and sound advice who are never given a chance to see the President or even his administration and then how do we build our economy if the President cannot be approached? I still feel that there could be people around you who do not want other people or ordinary citizens to have access to you. We should never drag politics on economic matters and it is important to meet all stakeholders and find a common ground on economic turnaround strategies. We need a very strong research institute area which comprise of academics in that council. We have a research gap in several critical areas such as population, poverty, health, demography matters, and surveys, even to find out if people accept some proposals. Such proposals should then be moved to the Government for decision making and implementation. In 2017 I carried out a research on effects of poverty on women in rural communities, I visited the ZIMSTATS, and the latest information I got was of 2013, and I was shocked that more than 300 people are occupying that building, well-conditioned offices with good ventilation and they fail to make proper researches. I strongly believe this should be one of the buildings that should be closed and allow those occupying those offices to go and rest home. The Government should be benefitting from that department when making crucial decisions. How then do we come up with economic decisions, budgets when we don't have proper figures? The way I look at things now, investors are skeptical on what is going on in our country. Today I was watching Jonathan Moyo on BBC Hard talk; I don't think it is good for our country. I suggest you engage all people like him, Makamba, Mawere so that they come back home and build the nation. The information he gave on BBC, was terrible and it may hinder progress to our economy, don't forget that these guys have their own networking and it will be very suicidal to dismiss them. Investors are still on the border line and they still need more fundamental reforms before they move in to partner with Zimbabwe. I suggest as well may you also engage Dangotte; he seems to be a good guy in business. Measures should be put in place to secure such people. Our major problem as a nation, we are known for producing quality documents that are always shelved in well ventilated offices till they gather dust. We must stick to time frame, begin to walk the talk. What has happened to documents like ZIM ASSET? What has happened to 10 point plan? What has happened to NZIRA MASANGA CURRICULUM? What has happened to so many documents that were proposed? What has happened to those documents that we have been submitting for advisory? I guess you will go through this one so that we can be able to grow the economy by 13.7% by end of year 2018.